Your car’s air conditioning system is tasked with the duty of consistently turning very warm air into something (hopefully) more suitable. Every time you park your car for 15 minutes or more, it has to start over. The conditions your auto AC has to perform under are far from ideal. To further the struggle, vital components of your AC lie underneath your hood and can reach temperatures of 250 degrees or more. We’re not going to get too far into the technicalities of AC operation right now, but check this out if you’re interested in learning more. 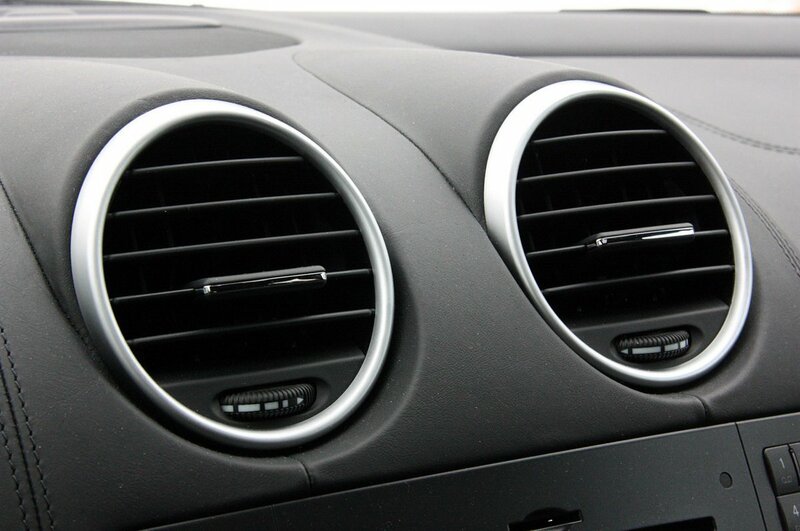 Your home and work air conditioning have it easy compared to your car’s AC system, it really is a modern marvel that cold air even comes out of those vents. We all count on our car to cool us down on hot days, but what happens when it doesn’t? Take a look at some of our more common Car AC repair services. Perhaps one of our most common services in the heat of summer – Your car air conditioner doesn’t feel like it is getting quite as cold as it used to, so what gives? Take a look at our step by step process we perform with every AC Quick Check. The first item we will check is your engine coolant temperature gauge. Is it sitting in the normal range, or is it pegged at H? So many times we have found that an AC complaint can actually be traced back to an engine cooling system issue. Your car’s AC will turn off if the engine gets too hot – This is a safety measure designed to protect both your auto’s AC and its engine. In many cases, we have found that a low engine coolant level has caused your AC to stop working. It may be as easy as topping the radiator off, or may be something more complex such as a water pump or radiator leak. Remember, an overheating engine should not be ignored – If the gauge points to H, pull over and shut the engine off as soon as possible! Have your vehicle towed to Highline Car Care to avoid costly engine damage. If the engine cooling system looks good, we will move on to examine your AC components. Many times your car AC will stop blowing cold if the refrigerant level gets too low. Even a healthy car’s AC can lose a significant amount of refrigerant in 5-8 years. In other cases though, we have found leaking hoses, compressor, condenser, evaporator, expansion valve, or even bad O-rings or schrader valves to be the culprit. Our first step will be to hook our pressure gauges up to your auto AC to determine if it has enough refrigerant to operate properly. If the refrigerant is low, we will visually inspect for large AC leaks. If a leak is spotted, we will recommend repair of the damaged component and an AC recharge. If we do not see an obvious leak, we will evacuate and recharge your car’s air conditioning to the proper level along with a leak detection dye that will pinpoint any future leaks. You might know this as an AC top off, freon recharge, refrigerant refill, or air conditioning service. If our FREE AC quick check indicates your cooling system is functioning properly and your AC is not low on refrigerant, you may have a bigger issue – Your air conditioning compressor may require replacement. When we replace your compressor at Highline Car Care, we will perform a comprehensive repair that ensures proper air conditioning for years to come. A failed compressor will contaminate your entire air conditioning system with microscopic debris and this is a big problem. Leftover metal and nylon components will plug your condenser and metering device and diminish system efficiency, but will also destroy your new AC compressor given enough time. 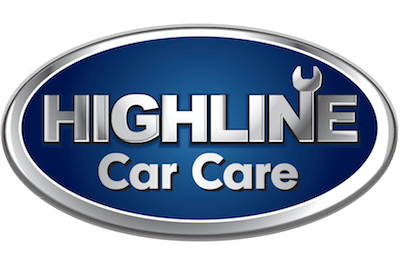 At Highline Car Care, we will never skimp on a repair to save you money in the short term. 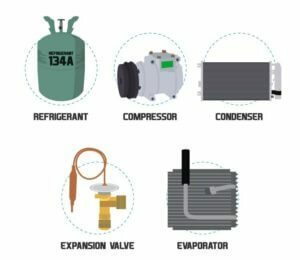 We will always recommending replacing your AC compressor as a complete kit, including – compressor, condenser, expansion valve, and sometimes evaporator. This is the only way we can ensure your air conditioning operates at peak performance and will do so for years to come. Remember, we offer a 2 year, 24,000 mile NATIONWIDE warranty on most AC repairs. We cannot do so by offering inferior parts or incomplete service. We will only use original equipment or equivalent NEW parts. There are dozens of inferior knockoff parts out there, and even more used parts. While the latter may offer a quick fix, it won’t benefit anyone if you are back in the shop next summer for the same problem. Car AC Not Blowing Air from Vents? Faulty AC blower motor – Your blower motor is located underneath your dash, usually right below your glove box. Some of our customers have claimed that smacking a faulty blower motor will cause it to turn back on. 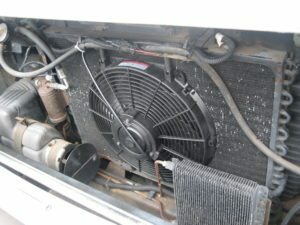 If this is the case of course, you should expect to replace your blower motor to make your auto AC blow cold air again. Faulty climate control head – Many newer vehicles have fancy automatic climate control, single zone, dual zone, cooled seats, you name it… All this means to us at Highline Car Care, is that there are more electrical components to fail. A failed AC control will not tell your blower motor to turn on and will need replacement. Faulty blower motor resistor – This component sounds fancy, but is probably one of the simplest components in your auto AC. A failed resistor will sometimes cause your air conditioning to only blow on one or two of the speeds. Faulty wiring – On some occasions, we have seen the blower motor wiring get so hot that it has melted. In this case, the wiring will need to be repaired or replaced accordingly. Plugged cabin air filter -Your car’s cabin air filter is responsible for filtering all of that air before it comes out of the vents, and can become very dirty. It requires replacement every 12,000 miles on average. This is the cheapest preventative maintenance you can perform to make sure your blower motor functions at its best. If your air conditioner is functioning perfectly while driving down the expressway but becomes warm in stop and go traffic, you may have a cooling fan issue. Your engine cooling system and AC both rely on cool air being pulled over the radiator and condenser (both are located in the very front of your engine compartment). Your condenser and radiator cooling fans are responsible for this during stop and go driving. When the air flow stops, your engine may run hot and AC may begin blowing warm. This is not a problem you should ignore – Bring it to Highline for proper diagnosis and repair. 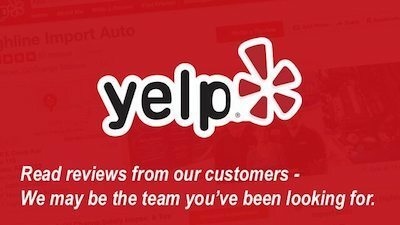 You and your car will appreciate the quick service! AC hoses and O rings are made of rubber, and exposed to high heat and pressures – They will leak and require attention over time. Evaporators are located inside your dash and a leak can be difficult to diagnose and repair. Your condenser is located at the very front of your vehicle and can be damaged by rocks or other debris when driving. At Highline Car Care, we are able to pinpoint the cause of your leak and repair or replace accordingly. Our FREE AC quick check will allow us the opportunity to locate these leaks and provide you an estimate for repair. Condenser, evaporator, hoses, O-rings and more – We will get you back up and running in no time! This is a question only a certified AC shop can answer AFTER inspecting your vehicle. Most reputable shops will offer some sort of free check-up. This will give us an opportunity to visually inspect your vehicle’s air conditioning. Remember without first inspecting your air conditioning, anyone would be guessing to offer up a price. In general, though, you might expect these prices for specific AC repair in the Mesa, AZ area. *Any additional parts and/or labor as well as Freon extra. Cannot combine with any other offers. Limited time only. Let the Pros at Highline perform a 5 point AC quick check to pinpoint any issues with your car’s air conditioning. You know when your AC doesn’t feel right – literally. It may be warmer than normal, louder than normal, or even impacting your acceleration more than normal. This free AC quick check gives you insight into your car’s performance and what you can do to restore your air conditioning to ice cold temperatures.